Leak: Huawei Mate 9 Will Have A Dual Curved Screen Version! Home / huawei / leaks / mobile / Leak: Huawei Mate 9 Will Have A Dual Curved Screen Version! According to the recent report by Evan Blass, a popular leaker, the upcoming Huawei Mate 9 will come in distinct two body styles. 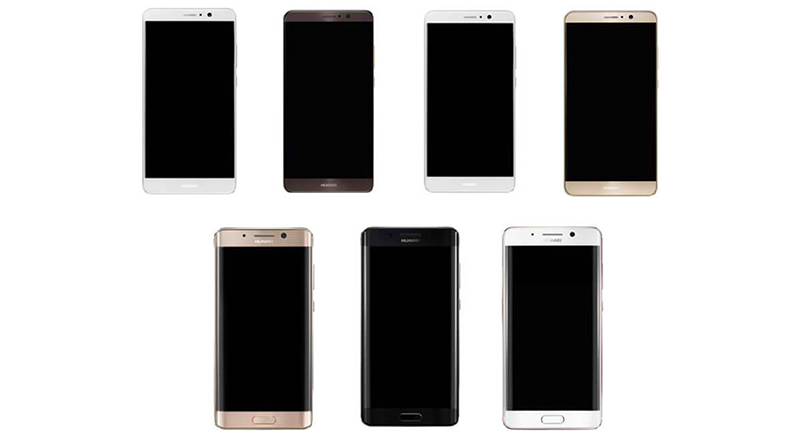 The phablet will come in a regular edition and a version with dual curved screen ala Galaxy Note 7 or Galaxy S7 Edge. The regular Huawei Mate 9 (Manhattan) will come with a 5.9 inch 1080p FHD screen while the Huawei Mate 9 with dual curved screen (Long Island) will boast a sharper QHD resolution in order to support Daydream VR. Related: Huawei Mate 9 Unboxing And First Impressions! Then according to the leaked specs, the Huawei Mate 9 will be equipped with a 64 bit HiSilicon Kirin 960 octa core processor, up to 6 GB of RAM, and up to 256 GB of internal storage. Related: Huawei Mate 9 With 20 MP + 12 MP 2nd Gen Leica Cameras With OIS And EMUI 5.0 Now Official! The main camera is also tipped to carry a much better dual Leica lens configuration with 20 MP at f/2.0 aperture. Now let's all wait for its November 3 at Munich, Germany for the full details.